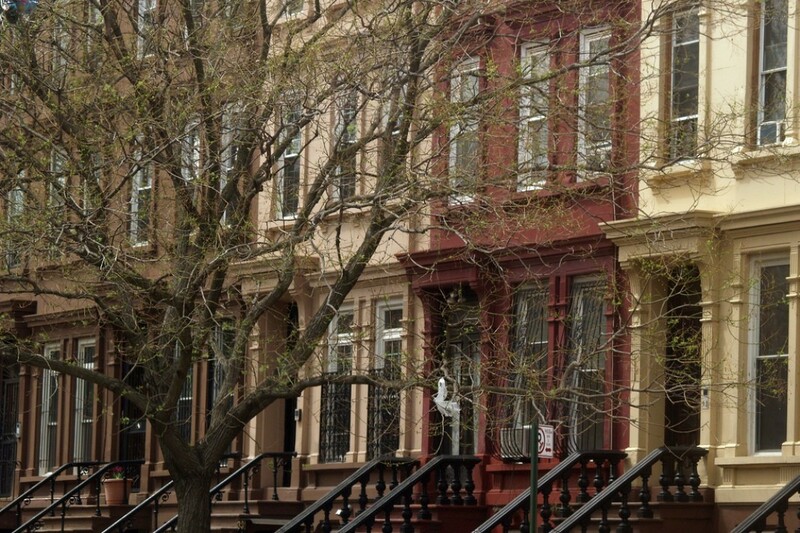 Townhouses in Bedford-Stuyvesant, one of the fastest-appreciating neighborhoods in the city. 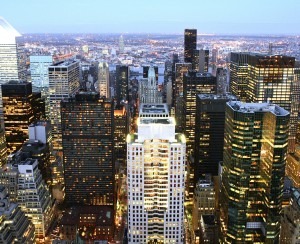 New York real estate prices seemingly move at the speed of light. At a time when demand across the city is high, and New Yorkers are willing to move ever-further into the outer boroughs in search of affordable prices, it’s hard to grasp how quickly the market has changed, and continues to. And as any industry expert will tell you, real estate here is hyper-specific, with pricing heavily influenced by local factors like gentrification, subway access, and new development projects. So though it’s crucial to understand the major forces affecting the city’s housing market as a whole, your apartment hunt will require a granular look at the neighborhood, and even block, of the place you’re considering buying. Taking a look at both the past and future of emerging markets will help hopeful buyers understand where they’re priced out, and where there’s still a chance to get in. 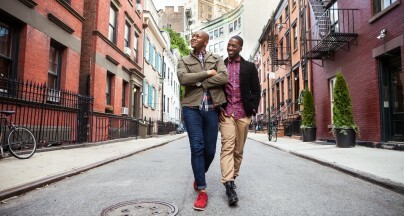 To get a look at the New York neighborhoods that saw the biggest sales price increases in the last five years, and neighborhoods that seem poised to spike in the next five years, we asked StreetEasy to crunch some numbers, and asked brokers for their predictions on where buyers seeking a solid investment should cast their sights next. StreetEasy took a look at every New York City neighborhood with a minimum of 50 sales over the year, then measured the median sales price as recorded by the Department of Finance. The median recorded for 2012 takes into account the full year, while the 2017 pricing measured the year’s first through third quarters. The Royal Tenenbaum house on Convent Avenue in Hamilton Heights. Manhattan neighborhoods saw some of the highest five-year increases across the city, according to StreetEasy's analysis. The uptown enclave of Hamilton Heights, a western part of Harlem, tracked the biggest increase in the borough, at 140 percent. The median price there rose from $225,000 in 2012 to $550,000 this year. Tribeca and the Flatiron District tied for second place with 103 percent increases. Tribeca’s median sales price rose from $2.162 million up to a whopping $4.4 million. In Flatiron, the median jumped from $1.227 million to $2.5 million. 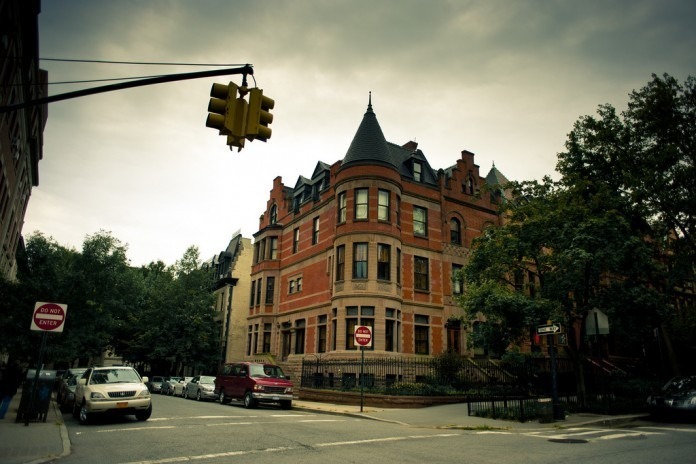 Flatbush Avenue runs through Prospect Lefferts Gardens, the neighborhood with the biggest five-year price spikes in the city. Brooklyn also saw massive five-year gains, and is home to the neighborhood with the largest price increase in the entire city. That title belongs to Prospect Lefferts Gardens, where the median shot up 187 percent between 2012 and 2017, with prices jumping from $400,000 to $1.149 million. Prices in Dumbo, now known more for its tech startups than artist studios rose 132 percent, from $817,300 to $1.9 million. Finally, Bedford-Stuyvesant, a neighborhood of stately brownstones and other townhouses, underwent a 125 percent price increase from $433,900 to $975,000. The Long Island City waterfront has gone from industrial backwater to a forest of residential towers, new and under construction. 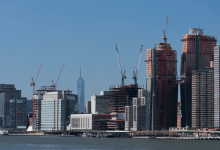 Queens has also garnered attention for quickly rising property values, but numbers haven’t been quite as dramatic as in Manhattan or Brooklyn. The northern part of Corona, surprisingly, saw the biggest five-year increase in the borough, at 85 percent. The median sales price there shot from $281,892 to $522,500. Ridgewood, which is gentrifying as people are priced out of Bushwick, saw median gains of 79 percent, from $529,500 to $948,000. 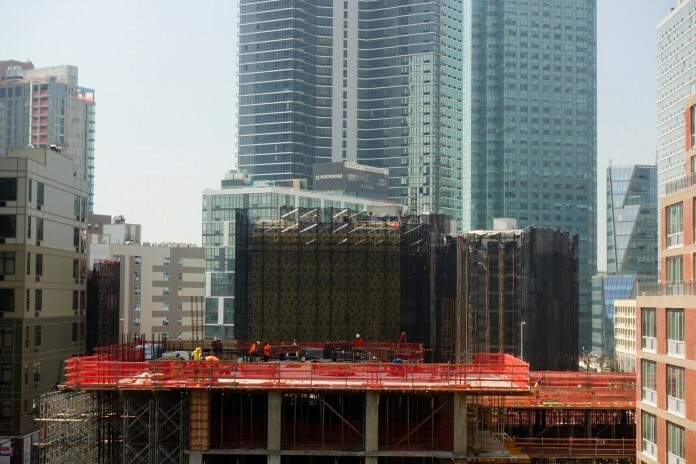 Finally, the waterfront neighborhood of Long Island City—one of the most active areas of the city for new residential construction—had a 71 percent price spike, from $525,000 to $899,000. 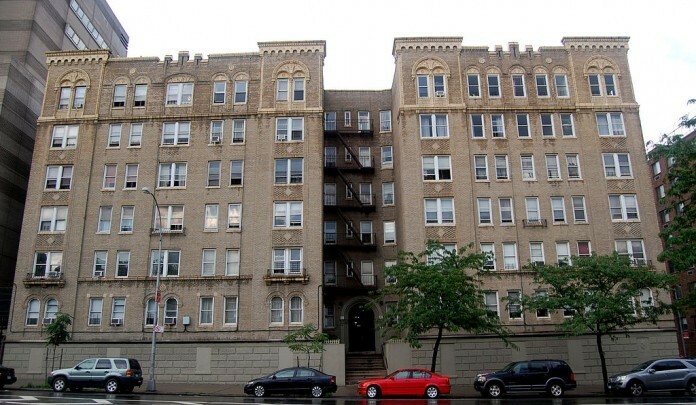 1100 Grand Concourse, a prewar co-op building typical of those lining the Concourse. This one is a block from the Bronx Museum of the Arts, at East 165th Street. 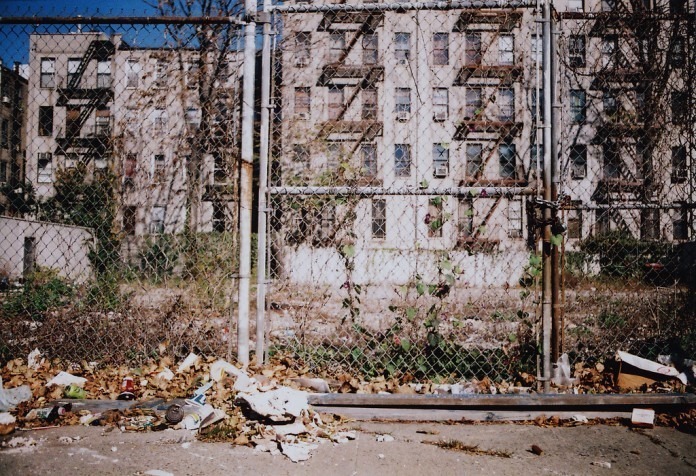 The Bronx is often heralded as the most promising borough for affordable apartments. So which neighborhoods have seen the highest value increases over the last five years? Concourse, near Yankee Stadium and the Bronx courts, comes in first, increasing 87 percent, from $172,500 to $324,000. Parkchester boasted an invitingly affordable median sales price of $90,000 in 2012, but that figure has jumped 51 percent, to $135,500. Van Nest, a working- and middle-class enclave in the East Bronx, rose 50 percent, from $310,000 to $465,750. 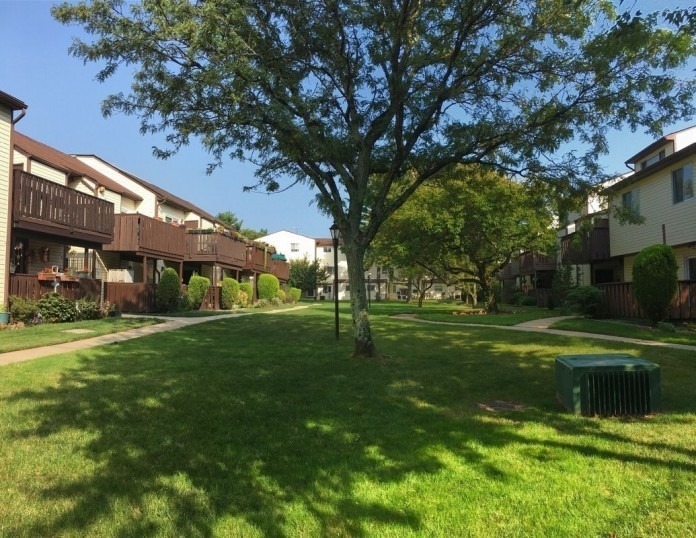 A three-bedroom condo in a low-rise complex in Bay Terrace, Staten Island is listed for $280,000. Staten Island, the borough most often forgotten in discussions of New York real estate, still offers affordability to those willing to hop on the ferry or drive over the Verrazano to get anywhere. Nevertheless, the borough also saw some of the lower price gains since 2012. Graniteville, a residential neighborhood on the western part of the island’s North Shore went up 62 percent, from $300,000 to $485,706. Dongan Hills, another sleepy residential neighborhood, just east of the tony Todt Hill, increased 53 percent, from $400,000 to $610,493. 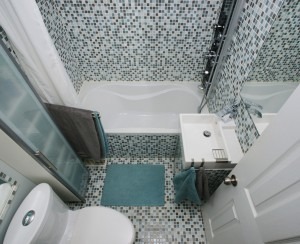 Finally Bay Terrace, another South Shore neighborhood, rose 50 percent in price, from $347,500 to $520,000. All indicators point to New York housing prices continuing to climb, making the search for an affordable place increasingly difficult. 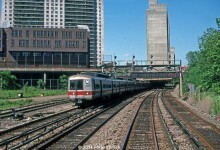 For those with the resources to weather the competitive market—with the end-goal of making a solid investment—the rule of thumb is this: stay close to the subway. Development is another factor to watch for. “New construction can cut both ways,” Long says. “On one hand it increases supply and can overwhelm public infrastructure like subway and schools, but on the other hand, it can spur investment in neighborhood amenities such as grocery stores, parks and dining options.” Investing early in a neighborhood set for new development is likely to pay off. That being said, here are neighborhoods in each of the five boroughs that experts we spoke to say are poised to rise in value over the next five years, whether due to their proximity to transit or the promise of rezonings and construction projects. 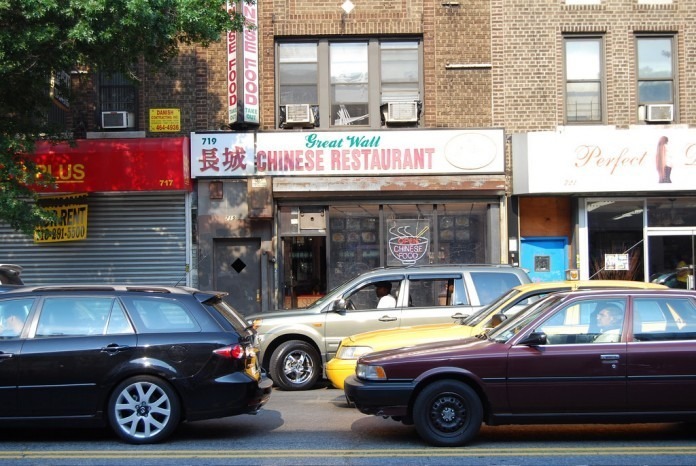 A pending rezoning could mean change gets even more dramatic in East Harlem. Upper Manhattan has recently seen rapid growth as it’s one of the few areas of Manhattan that remains relatively affordable. “It’s a neighborhood in the process of being rezoned where a buyer could get ahead of the curve,” says Julia Boland, a Corcoran agent who specializes in that market and recommends that buyers should invest there. The zoning proposal is controversial, but headed toward approval. It would bring in denser development, with some affordable housing requirements. 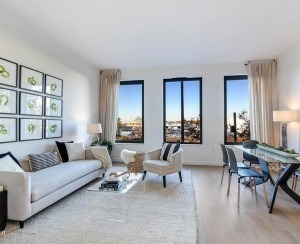 The area has some incoming luxury stock, too, like the glassy condo tower under construction at 1399 Park Ave. For now, the median for listings comes in at $862,500, according to StreetEasy. Ocean Hill is the easternmost part of Bedford-Stuyevasnt, which ranked as one of the fastest-growing neighborhoods, price-wise, over the past five years. 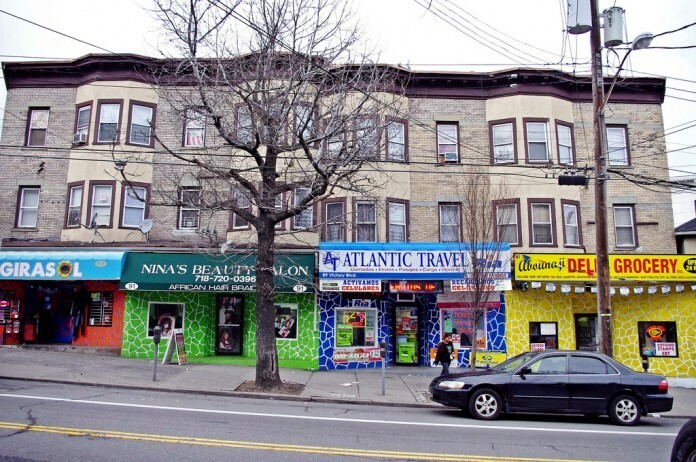 It’s residential, much like the rest of Bed-Stuy, and has subway stops along Fulton Street, including Broadway Junction, plus a Long Island Railroad stop on Atlantic Avenue. Whitman says townhouses in the area are “plentiful” and while they’re admittedly not cheap, they’re listed for less than some other brownstone neighborhoods in the borough. 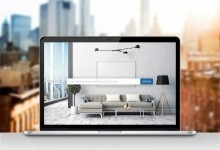 The median price for listings in the area is currently $999,000, according to StreetEasy. 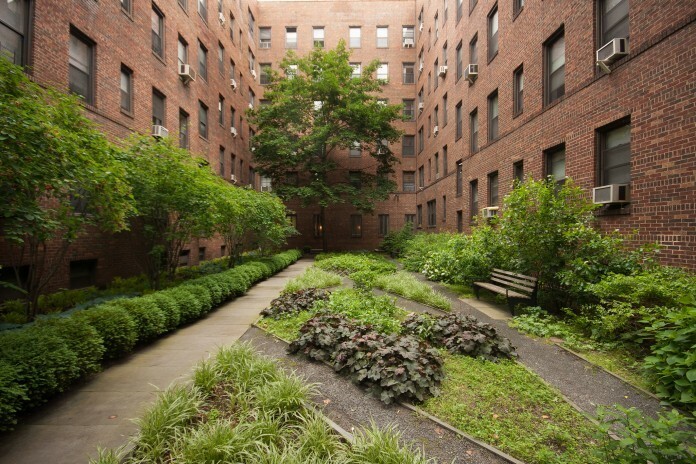 Some of Jackson Heights' many prewar complexes have courtyard gardens. Jackson Heights is a diverse neighborhood known for its stock of gorgeous prewar co-ops, plus relatively affordable post-war co-ops. Armen Meschian, a broker with CORE, says he’s tracked an eight percent increase in sales prices there year-over-year. He calls it a reliable market, with similar housing stock and types of apartments built roughly around the same time period. Meschian suspects this year will bring “record-breaking prices,” with the majority of one-bedroom apartments now closing over $400,000. (One apartment, he says, will come in at over $500,000, a record for the neighborhood.) The median listing price, according to StreetEasy, is $315,000. 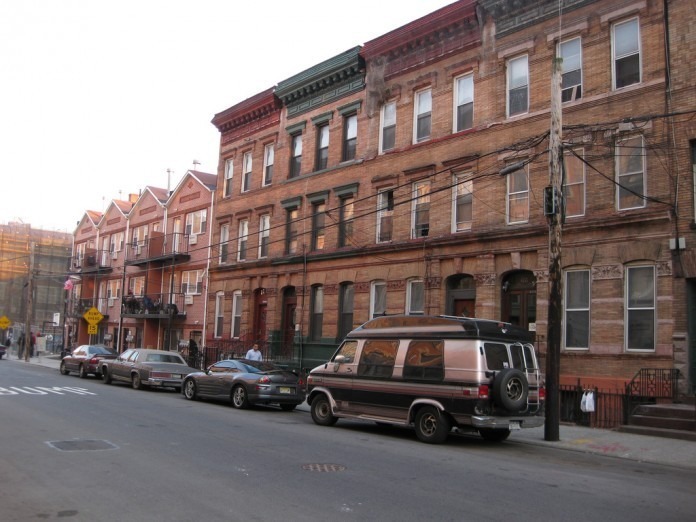 A row of designated historic houses on East 136th Street in Mott Haven. The boroughs with the slowest five-year price gains are the best places to look for more affordable properties that still offer investment potential. Grant Long, of Streeteasy, points to Mott Haven for the reasonable commute to Manhattan off the 4 and 5 lines. Located in the South Bronx, and still boasting an industrial vibe, the townhouse and prewar apartment stock has seen an uptick in interest from young professionals in recent years. The area also has space along the Harlem River, which is being targeted by developers for major construction. The current median listing price in the neighborhood is $474,700 on StreetEasy. A commercial strip on Victory Boulevard in St. George, a 10 minute walk from the Staten Island Ferry Terminal. Long points to St. George, on the northeastern tip of Staten Island, as a promising outer-borough investment cheaper than Brooklyn. The public transit access is the best on the island: it’s within walking distance of the Staten Island Ferry, which will shuttle you to Lower Manhattan in about 25 minutes. Plans for development are in place, too, with the city prioritizing the redevelopment of the waterfront into a retail complex, hotel, and giant observation wheel. The attractive stock of freestanding houses under $1 million doesn’t hurt, either. The median ask along the North Shore is $499,000, according to StreetEasy.